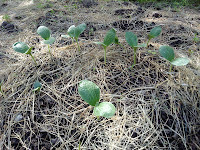 This year, rather than do my normal backyard vegetable garden, I decided to plant only pumpkins. 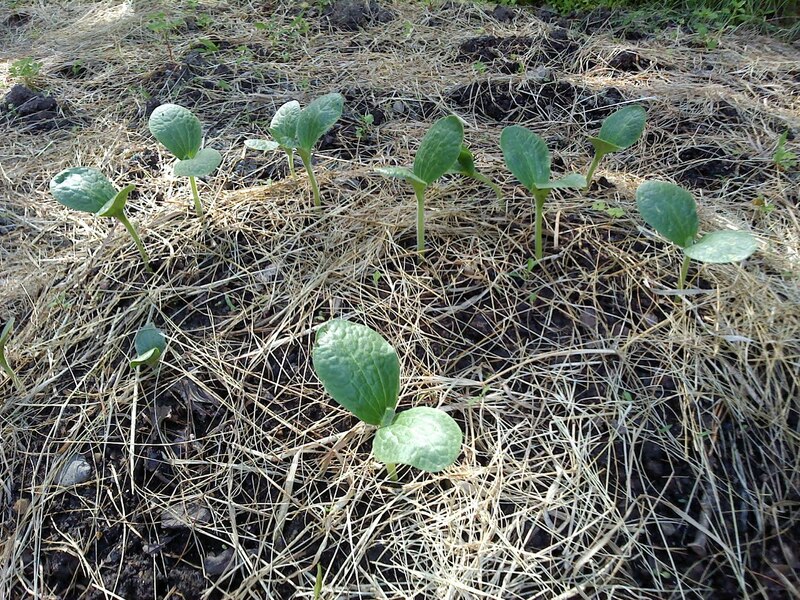 I’ve been wanting to have a little pumpkin patch for years, but when spring came along, I always ended up going the same old tomato, eggplant, peppers, route. But not this year. 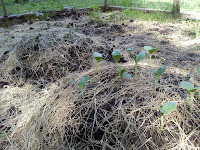 On the 15th I planted the seeds, and they’ve grown to strong little sprouts. I have one hill of “Hercules Pumpkins” to use for Jack O’ Lanterns, and a second hill of “Sugar Pumpkins,” which are smaller and used for pies. I’ll have to pluck out a few of these little guys though. As small as they are now, only two or three vines will easily take up all the available space. Room for only the strongest of the bunch. The pumpkins (and the novel I’m reading, and the new story I’m writing, among other things) are proving to be adequate distractions from life, of which I can use a long, long vacation. Sorry the pictures are low quality, but I used my cell phone.